Arunachal Pradesh – Probably one of the least explored states of India, Arunachal in true sense could be a pleasing surprise for any travel enthusiast. Indeed a beauty that touches, countless hearts almost instantly, it is also the primary state that enjoys the first rays of the morning sun. Sharing an international border with China, Bhutan, Myanmar and Tibet, this gorgeous piece of land is one among the seven sister states of India (remaining ones are Manipur, Nagaland, Assam, Mizoram, Tripura, Meghalaya). Home to India’s biggest Monastery, mesmerizing lakes, and delightful snow-capped mountains, this picturesque region is a place with tranquillity all around. This enchanting beauty is a mystic gift of nature that offers its guests a plethora of places to relish some Nirvana. The state has some attention-grabbing stories buried inside its history that makes this stunning land a place to be remembered forever. There are many historians who believe that Arunachal Pradesh had a significant role in the times of Ramayana and Mahabharata and has mentioned in many Hindu religious texts like Kalika Purana. This mountainous region was popularly referred to as prabhu (god) of mountains back then and believed that Sage Parshuram washed his sins in one of the mountains of this region. Also, the Hindu god Shri Krishna got married to his love of life, Rukmani on this very sacred place. Join me and 200+ like-minded people who are sharing and reading travel stories from India and the globe. Join today TravelEscape Facebook Group now. It is the same place that has witnessed the Indo China war that took place in 1962 in which most parts of the state got captured by the Chinese Army, however later got released by them due to several reasons. Although the heroic stories of how our brave soldiers fought to protect this beautiful land from the Chinese Army deserves to be shared amongst our viewers, I find it unfair to wrap it up in one small paragraph. Also, it might be a surprise for many that within the British rule, the state was a part of Assam and was known as the Northeast frontier agency. Later in 1972 it was formed as a union territory and eventually in 1987 a separate state of Arunachal Pradesh was fashioned. HIGHEST ETHNICITY GROUPS – The bewitching land of Arunachal is the prime example of diversity at its best. With around 26 major tribes and over 100 subtribes, it is referred to as a state with the highest ethnicity groups. This lovely state has 3 main cultural groups, one that follows Budhisim and popularly known as Monpas and Sherdukpens, the second cluster includes Adi, Galo, Aka, Apatani, Nyishi, Tagins, Bori, and Bokar (to name a few) those worship sun and moon god and the last group has Octes and Wanchos that follows a strict village society. RELIGION – Buddhism enjoying the dominant role here, one may additionally notice around 30% of people following Christianity and a few small groups following Hinduism. What makes Arunachal distinctive from other parts of India is that most of the folks living here can be still seen more inclined towards the mother nature which is a rare case in today’s time. OCCUPATION – Most of the rural population keep them occupied in Jhum farming, wet rice cultivation, Yak farming, handicrafts, and handloom work. On one hand, their terrace garden cultivation is a totally stunning and distinctive concept that I came across but what blew my mind was to note that the women are so hardworking and courageous and simply don’t shy away from any work that includes strenuous laborious task. Whether its the construction of any building or breaking the stones, these mountain ladies can be seen working all day with their infants tied at their back with the assistance of a cloth. MUSIC AND DANCE – Although, the newer generation is strongly influenced by the Korean culture that can be easily seen with their highlighted hair, dressing style, and music interests, nonetheless the older generation has somehow managed to keep their traditions and customs alive to a greater extent. Music plays a significant role in the state that is sort of evident in any marriage ceremony or other celebrations where people can be noticed singing their favorite local songs in groups. Amongst these, Pailibos and Baryi are the two most popular songs that mention history and mythology. ART AND CRAFT – The weaving skills of the artisans of Arunachal isn’t a secret to the world and is quite evident in the beautiful clothes and shawls they wear. Other than this, people are specialized in carpet making, pottery, bamboo and cane work, wood carving, painting, ornament making, and handicrafts and handlooms. I am unsure if my words and pictures will do any justice to the unbelievable beauty of Arunachal Pradesh or not however this is one unspoiled beauty of nature, that I highly recommend to all before the commercialization takes place here. This charming state has some of the most alluring places that I could think of that are absolutely worthful to pay a visit and get swayed away by its beauty. One of the most visited places of Arunachal Pradesh is the majestic monastery which also happens to be the largest monastery of India and the second largest monastery in the world. The spectacular view inside the monastery is absolutely awe-inspiring and serene. Built in the 17th century, the monastery is located at a height of 10000 feet and literally means the celestial divine paradise. 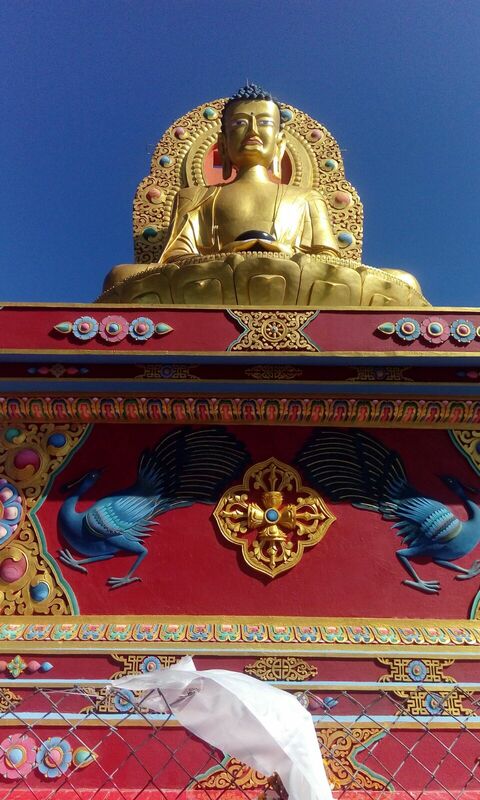 There is a huge statue of Buddha inside the monastery, tempting you to meditate or enjoy the blissfulness for some time and instantly shuts the doors of negativity, worries and hatred. Also, the colorful sacred prayer flags and the brassy prayer wheels are fascinating to the eyes. 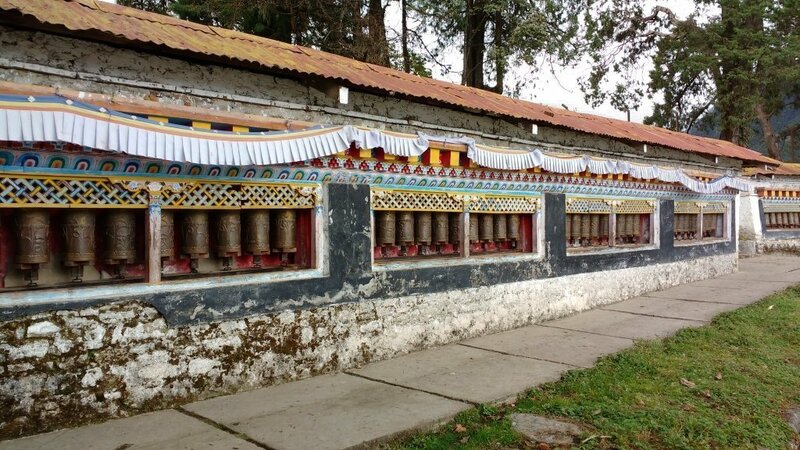 After an exhilarating experience of visiting this glorious Monastery with meaningful interaction with the monks (if you get lucky), one could head towards the Tawang War Memorial to give tribute to the brave Indian soldiers who got martyred in the war of 1962. Although most part of the Arunachal can be seen under the supervision of Indian Army men and their establishments, the war memorial makes me think do I really contribute anything to my country? Lakes in this Himalayan region isn’t a chunk of land with some water in it but has such eye appealing views and crystal blue colored water that will want you to believe if you are truly on this planet or experiencing heavenly magic. The lakes including PTSO, Sungetksar, and Sela are such marvelous creation of nature that one could spend hours and hours gazing these mystic beauties. 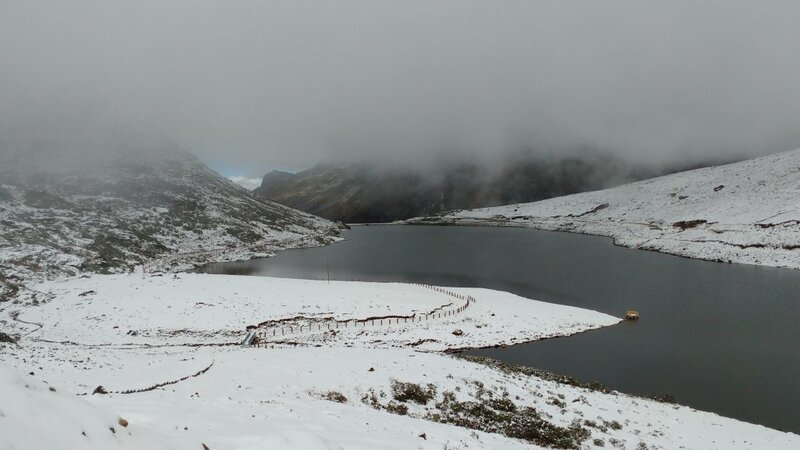 Amongst these Sela Lake stands really important as it is located at Sela Pass which is at a height of 13700 feet and is an important pass that connects Tawang to the rest of the country and is used to transport vegetation and other resources. 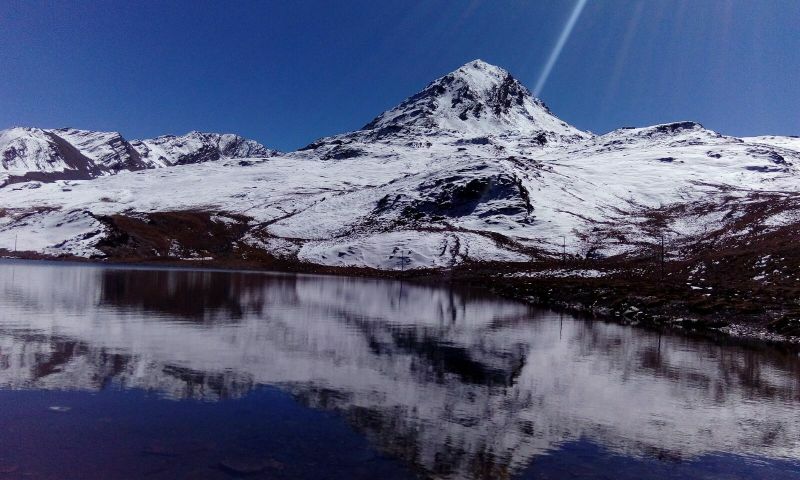 The Sela lake is a divine creation that is largely coated in snow during winters giving it such a picturesque view. It gets partially frozen during summers and sometimes used for water skiing. 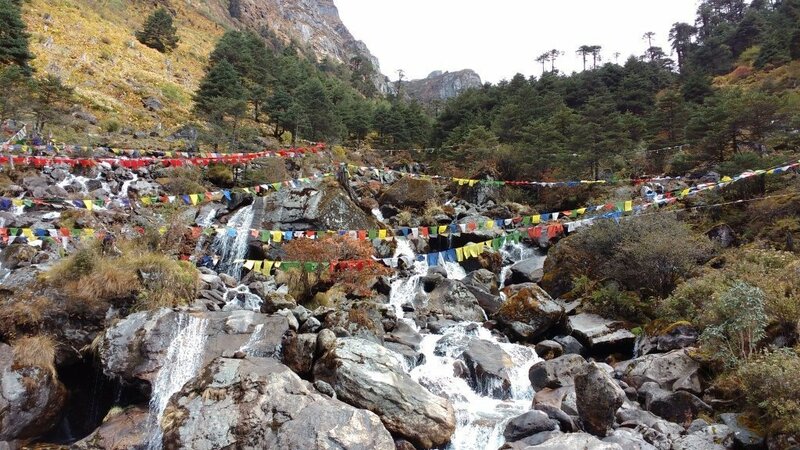 The sacred prayer flags emitting unbelievable calmness and serenity in the air beside the shimmering cold water is truly magical and makes the place all the more pious and divine. Around 43 km away from Bomdila, Dirang is a beautiful valley that is primarily popular for its hot springs pool. This small town has several natural hot spring bath pools that are rich in sulphur and has many medicinal properties making it a holy place to take the shower at. As cold weather is a regular affair in this land of rising sun, enjoying a hot shower is absolutely refreshing. 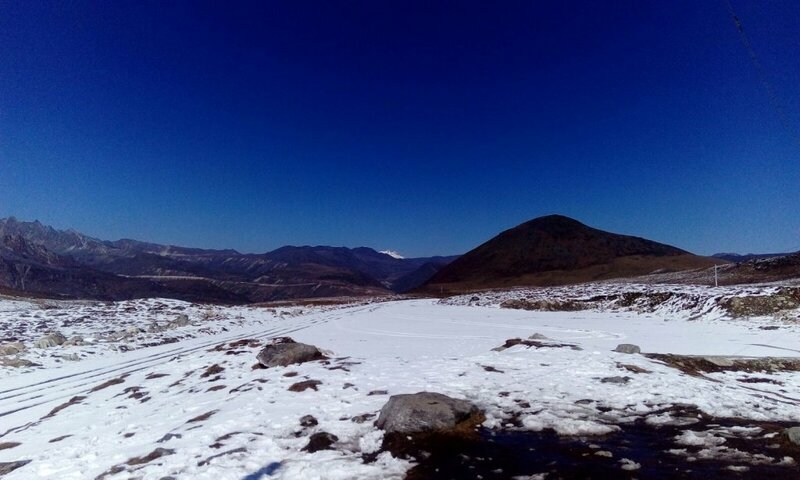 Another important landmark within the state is the Indo China border “Bumla Pass” settled at a height of 15000 feet and above which requires special permission from the Indian Army and one could see few areas of China and their fully constructed roads with the help of a binocular. The place is strictly managed by the Indian Army and thus any kind of photography and videography is not allowed. 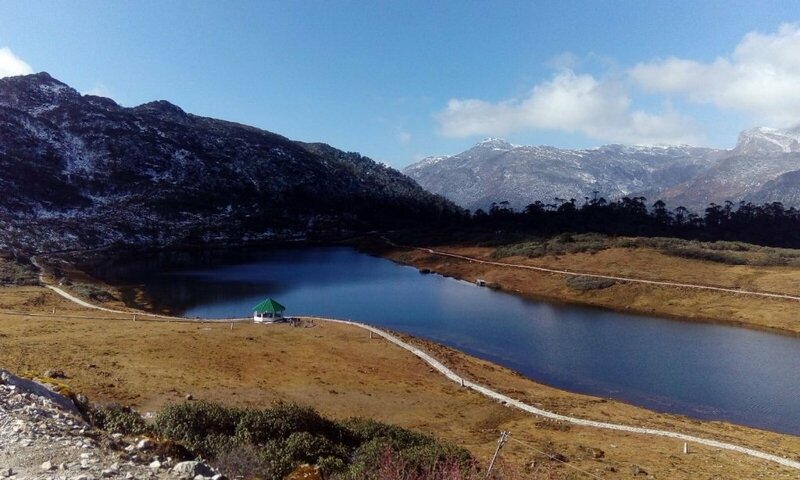 The route of (Bumla from Tawang) has some dazzling lakes and landscapes that would keep you occupied to cover this long journey of 2-3 hours. The Sungetsar lake or popularly known as Madhuri lake (shooting of a song from Koyla movie took place here) also can be visited in this route. This is another gem of this stunning valley that is still fresh and undiscovered by many. However, if the road connectivity still holds you back from not travelling this place that witnessed the Indo China war in 1962 then just think of the brave army soldiers who are posted there in extreme weather conditions just to guard us. It is a place that would surely give you goose-bumps and if you are lucky enough then you could listen to many heroic stories from the men themselves. Way back in 2004, I remember my first experience of having Momos in Delhi and getting extremely happy regarding my discovery of such a lip smack snack. Little did I know then, that I might ever get a chance to eat this flavorsome snack in its own land. Fortunately, in 2016, I ought to travel to mesmeric Arunachal Pradesh and tried the Momos yet again and I simply can’t explain you in words how delicious and soft these momos were. So, for all the momo lovers, this is beyond any doubt the definite food you wish not to miss at any cost when travelling to Arunachal Pradesh. The second most favorite food of mine was Thukpa that is sort of a delicate soup with scrumptious noodles. Alternatively, one may attempt their rice cakes and local cuisines too. Missing out on the rice beer known as Apong may not be a good idea either. Travelling and shopping go hand in hand, in fact, it is the best stress buster for many. Tawang market is the most happening market one could visit in this entire region and collect some souvenirs for your friends. The shops have a wide spectrum of Buddha statues, prayer wheels made of brass along with some aromatic incense sticks. One could also explore the colorful masks and wall hanging stuff available there. The outlets can be also seen with unique and exquisite handicrafts of Arunachal which gives the shopping experience a life. Alternatively, one could buy some fridge magnets of Tawang or T-shirts from the shops controlled by the military within the Tawang War Memorial. The roads of this aesthetic Arunachal is open throughout the year for its guests but other than April to May and October to November, one could expect a lot of snow and rainfall making it quite challenging to travel during these time frame. The journey can be started by reaching Guwahati or Tejpur by flight or train and then continue the trip by hiring a private or sharing cab or in the bus. The bumpy roads of Arunachal is best suited for Scorpios or Boleros making the journey more comfortable and easy. Just a word of caution that road connectivity is not very good and sometimes these curvy roads may look scary and dangerous too, however, the scenic beauty would leave you spellbound for the entire journey making it so worth to travel on these hilly areas. Thanks to the travel bug we all are experiencing these days, many budgeted hotels have popped up in Bomdilla and Tawang that offers a decent and basic stay. Alternatively, one could enjoy the homestays which not to be mentioned gives altogether a different experience. ENTRY PERMIT is an extremely important document that one has to carry before entering this gorgeous land. While Indian travellers need an Inner Line Permit (ILP) that can be obtained from any Government of Arunachal Pradesh office or from their website, foreign tourists can avail their Protected Area Permit (PLP) from the All Foreigners Registration Officers (FRRO), Delhi, Mumbai, and Kolkata. Additionally, there are few facilitation centers in Guwahati that provide assistance regarding this. MOBILE CONNECTIVITY might be a little disappointing here but sometimes its so worth to stay disconnected with the normal city life and enjoy the tranquillity. UNPREDICTABLE WEATHER CONDITIONS of this beautiful land expects you to carry warm clothes all the time and maybe a pair of raincoat or umbrella. The unexpected rain showers trigger the landslides in most of the areas and thus a good pair of shoes is also a must as often one is bound to walk to cross the roads. LIMITED EATING JOINTS or shops on the route is obvious due to its high altitude location, thus carrying a few eatables will be a good idea. MEDICAL CHECKUP becomes really important before visiting this wonderland. Due to its high altitude location, travellers with blood pressure and heart problems are discouraged to travel here. Also, it is not advisable to continue any sort of high-intensity exercise as one may experience a low supply of oxygen. With captivating lakes to some of the astounding monasteries of the country, Arunachal Pradesh can host several virgin places that one may solely dream of. A state with a rich heritage and natural beauty is a great holiday destination to bid adios to our daily maddening chaos. Offering picturesque views throughout the journey, it is a delightful experience for the photographers as well as for the adventure lovers who can enjoy biking and trekking on these curvaceous hilly regions. 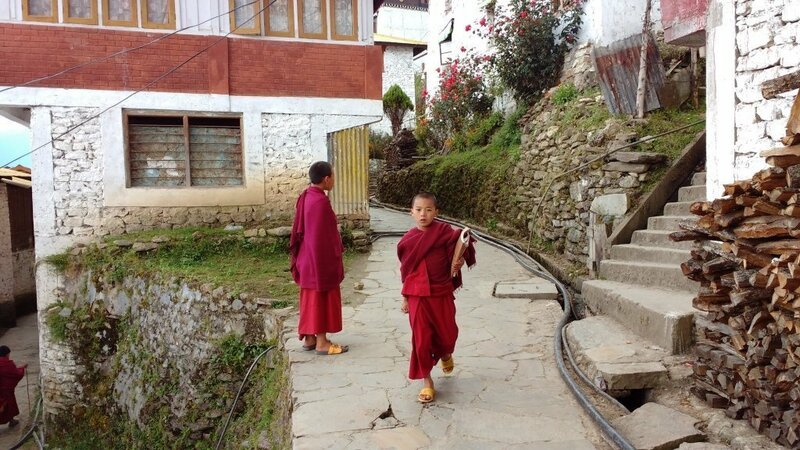 Let us know if you found the article on Arunachal Pradesh – complete guide interesting and useful? Also, you can share your travel experience and share any other interesting place to visit in Arunachal by leaving us your valuable comments and by rating us by clicking the 5 stars. Thanks for taking the time to share your experiences and knowledge.